1. Wash your hands frequently and thoroughly with soap and water. Wash your hands for more than 20 seconds with soap and water. In the absence of soap, use a hand sanitizer. Wash your hands thoroughly after engaging in outdoor activities, before and after meals, after using the restroom, or when going outdoors or coming back in from the outdoors. 2. Avoid touching your eyes, nose, and mouth with your hands. Avoid touching your face (e.g. eyes, nose, and mouth) with unwashed hands. 3. Wear a mask when you have a cough or fever. Wear a mask at all times when you have a fever, cough, or sneeze. 4. Cover your mouth and nose when coughing or sneezing. Cover your mouth and nose with a tissue or a sleeve when coughing or sneezing. After placing the used tissue in a plastic bag and discarding it in a trash can, immediately wash your hands with soap and water. 5. Avoid contact with people experiencing a fever or respiratory symptoms, such as a cough. 6. Avoid visiting people in hospitals. For the time being, avoid going to the hospital, both for yourself as well as for visitors and acquaintances. Send a text message to offer your condolences instead. 7. If you require general medical treatment, receive the treatment in a timely manner. If medical treatment is needed for a general illness, receive treatment from relevant medical staff quickly and efficiently. Those suffering from general respiratory illnesses, including colds, please visit hospitals that have been designated MERS-free. 8. Visit a nearby clinic for minor illness and avoid going to an emergency room. To receive treatment for a minor illness, please visit a nearby clinic. In non-emergency situations, avoid going to an emergency room. If you do visit a hospital or clinic, wear a mask and wash your hands thoroughly. 9. Wear a mask when using public transportation. Wear a mask when using public transportation, such the subway and bus. Follow proper etiquette when coughing and wash your hands thoroughly. 10. If you begin to present with MERS-related symptoms, stay at home and call the 120 Dasan Call Center for guidance. 1. Check whether you have any symptoms of MERS. Check whether you have any MERS-related symptoms, such as a fever (above 37.5℃), coughing, phlegm, difficulty breathing, muscle pain, and digestive-related symptoms (e.g. nausea, vomiting, and diarrhea). 2. Check whether you have visited any of the hospitals that have been exposed to MERS. The list of hospitals that have treated MERS patients can be found on the official website of Seoul Metropolitan Government ( www.seoul.go.kr/mers) or the MERS website of the Korea Centers for Disease Control and Prevention (www.mers.go.kr). 3. After checking the list of hospitals that have been exposed to MERS, if you still suspect that you have contracted MERS, please call the 120 Dasan Call Center for guidance. Stay at home and refrain from visiting medical institutions or going outside. 4. If you suspect that you have contracted MERS even though you did not visit any of the hospitals known to have treated MERS patients, visit a health center designated by the Seoul Metropolitan Government after contacting the 120 Dasan Call Center for guidance. While wearing a mask, visit a health center designated by the Seoul Metropolitan Government. 5. If possible, go to the designated health center by car. If you have to use public transportation, wear a mask and cover your mouth and nose with a tissue when coughing. 6. Inform your doctor of any hospitals or clinics you have visited recently. If you must receive treatment from a medical institution, inform the doctor of any hospitals or clinics you and your guardian have visited recently. 7. Wear a mask at all times and wash your hands frequently. 8. Avoid sharing your toiletries and tableware with other family members. Wear a mask at all times when speaking and stay in a place that is kept separate from your family members. 9. Cover your mouth and nose with a tissue or a sleeve when coughing or sneezing. Do not use your hands. 1. Follow any instructions that you receive from the nearest health center until your quarantine period is over. Follow the instructions of your nearest health center throughout your entire quarantine period. 2. Stay at home and refrain from going outdoors. Stay at home and refrain from going outdoors until the end of your quarantine period. The quarantine period is 14 days from the date of last contact with a confirmed MERS patient. 3. Monitor your symptoms on a regular basis. Take your temperature two times a day, once in the morning and once in the evening, checking to see if it has risen above 37.5℃. If you experience MERS-related symptoms, such as a fever, respiratory symptoms (e.g. coughing, difficulty breathing), and digestive symptoms (e.g. nausea, vomiting, and diarrhea), contact the nearest health center or call 109 (MERS hotline) or the 120 Dasan Call Center for guidance. 4. While at home, do not use the same rooms and bathrooms used by your family. While under home quarantine, stay in a place separate from the rest of your family and have your meals separately as well. If you must use the same bathroom as your family, let other family members use the bathroom first and clean the bathroom with disinfectant after you use it. If you are unable to secure an adequate place for home quarantine, call the 120 Dasan Call Center or the nearest health center for guidance. 5. Wear a mask when interacting with your family members. If you must interact with members of your family face-to-face, they should also wear masks. During the interaction, stay at least two meters away from each other. 6. Cover your mouth and nose when coughing or sneezing. Cover your mouth and nose with a tissue or a sleeve when coughing or sneezing. After putting the used tissue into a plastic bag and disposing of it in a trash can, wash your hands immediately with soap and water. 7. Wash your hands frequently and thoroughly with soap and water. Wash your hands for more than 20 seconds with soap and water. In the absence of soap, use a hand sanitizer. 8. Keep your toiletries, tableware, and home appliances separate from those used by family members. When staying home, keep your toiletries, tableware (cups, spoons, and dishes), and bedclothes separate from those used by your family members. When washing clothes and bedclothes, you should wash them (with a mixture of general detergent and Clorox) separately from those used by your family members as well. 9. Stay in well-ventilated areas. Open the window and keep your surroundings as well ventilated as possible. 10. Take good care of your health. Try to keep your stress down, maintain a balanced diet, and avoid smoking and drinking. 1. Avoid making contact with the quarantined family member or cohabitant. Stay in a different room from the quarantined family member. If needed, wear a mask and stay at least two meters away from him or her. 2. Those with weak immune systems need to take extra care. Particularly, those with weak immune systems, including senior citizens, patients with chronic illnesses, and cancer patients, should not stay in the same home with a quarantined patient. If that is impossible, any contact with the quarantined patient at home should be done with extra care. 3. Check the condition of the quarantined patient. If the patient is experiencing MERS-related symptoms, such as fever (above 37.5℃), coughing, difficulty breathing, nausea, vomiting, and diarrhea, contact the nearest health center or call the 120 Dasan Call Center or the Seoul City MERS Countermeasure Headquarters (2133-0691∼7). The quarantined patient should be instructed to check his/her own health condition. 4. Wash your hands frequently. 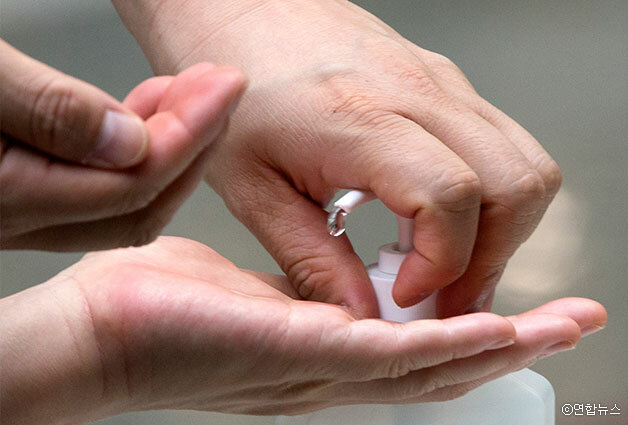 Wash your hands frequently with soap, water, and alcohol-based hand sanitizer. Avoid touching your eyes, nose, and mouth with unwashed hands. 5. Wear a mask and gloves when handling the body fluids of a quarantined patient. If body fluids, such as blood, saliva, phlegm, nasal discharge, urine, and feces, need to be handled, wear a mask and gloves. After each use, dispose of the mask and gloves properly and wash your hands upon disposal. 6. At home, use toiletries, tableware, and home appliances separate from those of the quarantined patient. The dishes, cups, spoons, towels, and bedclothes of a patient quarantined at home should not be used by other members of the family. If used, they should be first washed thoroughly with a cleaning product and water. 7. If you must share a home appliance with a quarantined patient, wash with a disinfectant before use. Door knobs, bathroom equipment, toilets, and telephones should be disinfected frequently with a Clorox-water mixture. Wear gloves or an apron when cleaning. 8. Wash clothes and bedclothes that have been exposed to body fluids separately. Wash clothes and bedclothes that have been exposed to body fluids, such as blood, saliva, secretions, and stool, separately. When touching potentially contaminated materials, wear disposable gloves and wash your hands immediately after taking them. 9. Check the condition of the guardian regularly. Check health status (e.g. temperature) on a regular basis. 10. Call the 120 Dasan Call Center or a nearby health center if you begin to experience MERS-related symptoms, such as fever and respiratory and digestion-related symptoms. 1. Wash your hands thoroughly. Wash your hands thoroughly after engaging in outdoor activities, before and after meals, after using the restroom, and before going outdoors and after coming in from outdoors. 2. Cover your mouth and nose when coughing or sneezing. Cover your mouth and nose with a tissue or a sleeve when coughing or sneezing. Wash your hands thoroughly with soap and water after coughing and sneezing. 3. Avoid touching your eyes, nose, and mouth with your hands. Avoid touching your face (eyes, nose, and mouth) with unwashed hands. 4. Avoid contact with people experiencing fever or respiratory symptoms. Avoid contact or being in the same place with people showing symptoms such as fever, coughing, or difficulty breathing. 5. Stay in well-ventilated areas and wear a mask if you are experiencing any respiratory symptoms. Keep your surroundings well ventilated, such as by opening the classroom windows. Wear a mask when you experience respiratory-related symptoms (e.g. fever, coughing, and difficulty breathing). 6. Avoid visiting public places. Avoid visiting public places, such as computer rooms and karaoke rooms, and avoid staying in closed-door areas. 7. Keep your personal belongings, such as your mobile phone, as clean as possible. Keep personal belongings, including your mobile phone, which you touch often, clean and safe using alcohol-based towelettes. 8. Eat regularly and get plenty of sleep. Strengthen your immune system with a balanced diet, regular meals, plenty of sleep, and exercise. 9. If you begin to experience symptoms, such as fever and coughing, inform your parents and teachers immediately. If you find that you are beginning to display MERS-related symptoms, such as fever, coughing, difficulty breathing, and nausea, inform your parents and teachers immediately. 10. 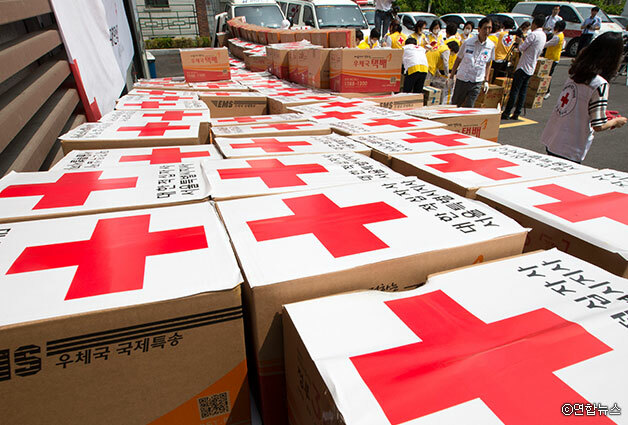 If you develop MERS-related symptoms, stay home and call the 120 Dasan Call Center immediately. If you develop MERS-related symptoms, such as fever or respiratory or digestion-related symptoms, call the120 Dasan Call Center for guidance.